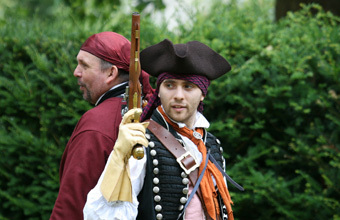 ARUNDEL Castle will be awash with Pirates and Smugglers on September 22, when the venue hosts a special themed day. Set in The Keep at Arundel Castle, the event will provide fun for all the family with thrilling combat demonstrations from 18th Century pirates, showcasing the skills of performers from Raven Tor Living History Group. Castle manager Bryan McDonald said: "This Pirates and Smugglers Day is a thrilling display that treats visitors to the buzz and excitement of the period. "Visitors will be able to see, learn and experience aspects of 18th century pirate and civilian-life for themselves."